Laser treatment is an integral part of the services provided at Fox Chapel Advanced Dental Care! Modern laser treatment by our Pittsburgh laser dentist provides the option of virtually painless treatment in the dental practice. Laser treatment offers benefits to patients in many different dental areas including endodontics, periodontics and surgery. Lasers are now used by our Pittsburgh dental practice with precision and demonstrates high levels of accuracy. They are currently used successfully in many sector of health care, particularly ophthalmology, dermatology, and dentistry. A laser beam can be used to precisely remove tissue a few cells at a time, and compared to other treatment methods, there are no known side effects. Periodontitis is chronic inflammation of the gums characterized by redness and bleeding. Periodontal diseases are one of the main causes of tooth loss in adults over 40 years of age. Dr. Pawlowicz will be able to provide you with a laser treatment to achieve improved periodontal health. Laser surgery provides a new method of treatment that may offer you several post-operative advantages, whether the problem is a labial frenulum (tongue-attached) or complaint such as painful apthous ulcers. All of these can impair the quality of your life. 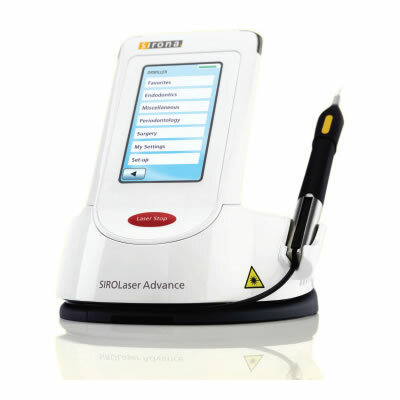 Also the laser is ideal for aesthetic smile design.